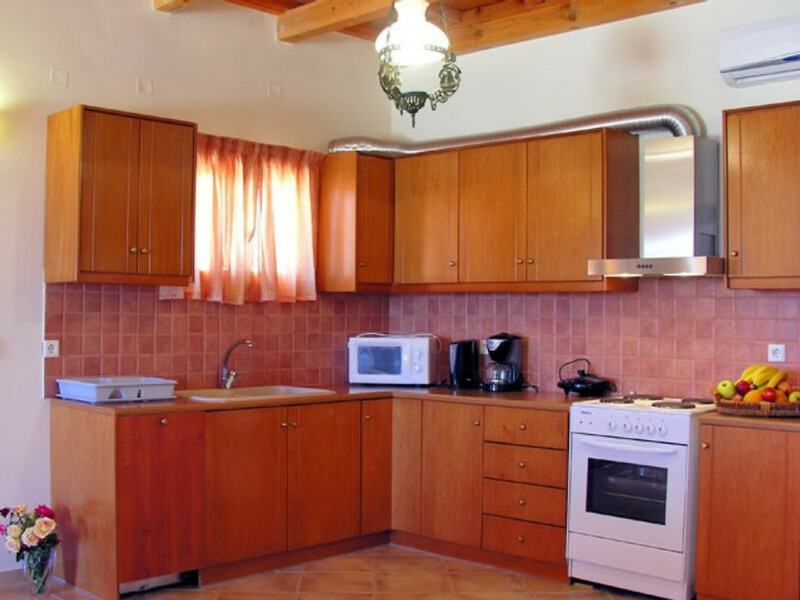 Located in the charming village of Agia Triada on the north coast of Crete, in the foothills of the Psiloritis mountain range & just 11 kilometres from the town of Rethymno, this 130 square metre stone-built villa is situated on a plot of 1,000 square metres, sleeping up to 6 people. 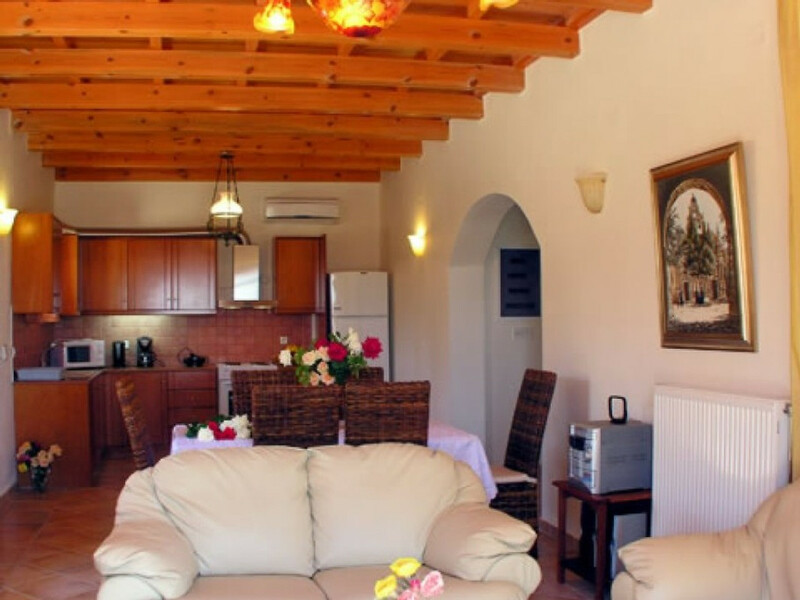 This beautiful fully air-conditioned, 3 bedroomed, 3 bathroomed villa provides the perfect setting for a relaxing stay in Crete. 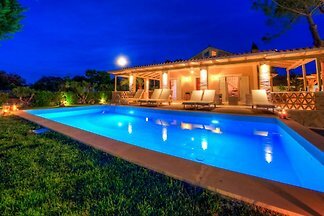 The inviting 40 square metre swimming pool is set in a stone-paved sun terrace with a BBQ, sun beds, umbrellas and deck furniture for relaxing days by the pool. 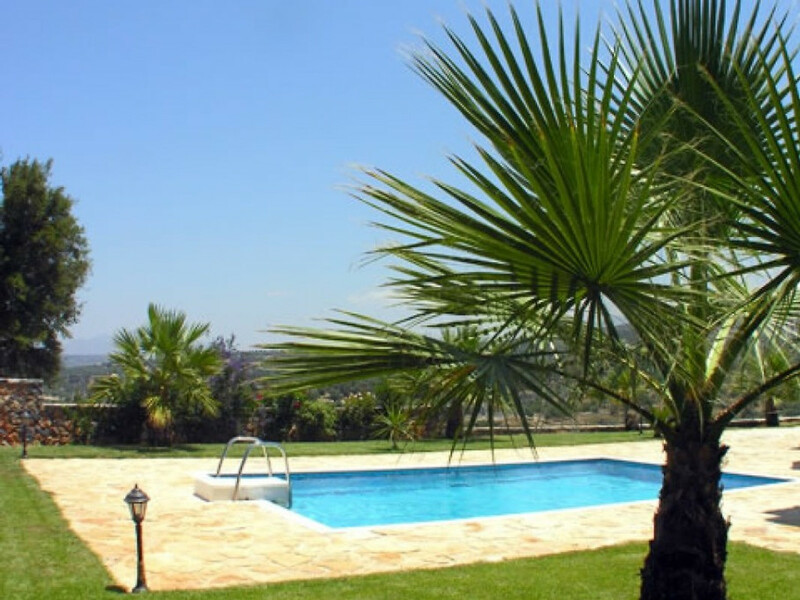 A carefully tended garden with attractive plants and flowers add to the beauty of the villa. 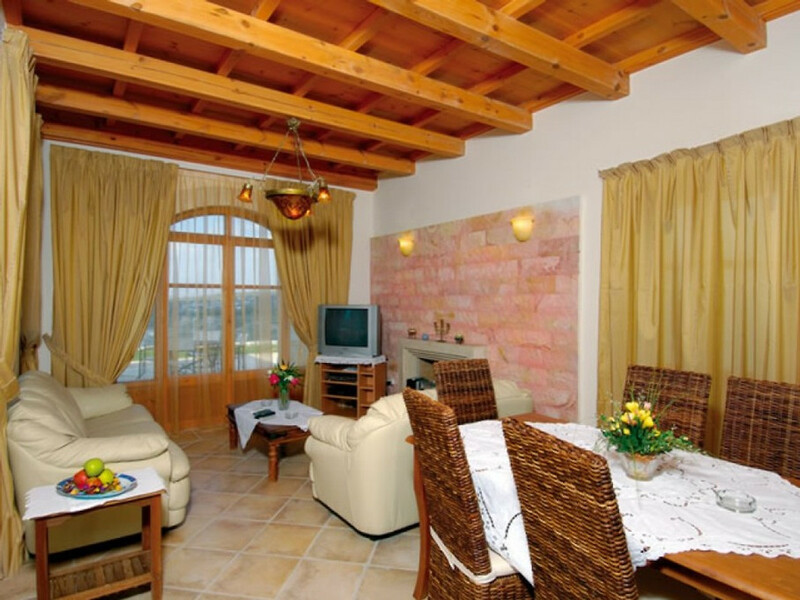 There are panoramic views of the sea and the surrounding mountains. The ground floor has a comfortably furnished open-plan living room and dining area with a marble fireplace and a fully equipped kitchen which includes a microwave oven and a coffee maker. 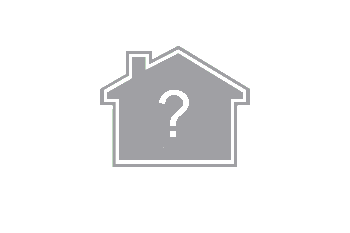 Also on the ground floor is a bedroom with two single beds and a bathroom with a shower and a washing machine. The first floor has a master bedroom with an en-suite bathroom. The furniture in this room is antique and dates back to the 19th century. 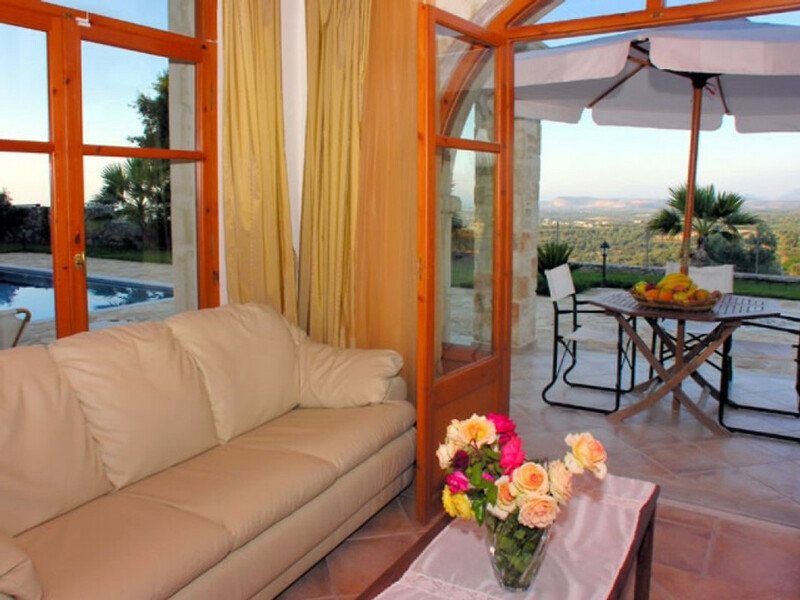 The bedroom“s veranda has an amazing view of the sea on one side and the mountains with their olive groves on the other. 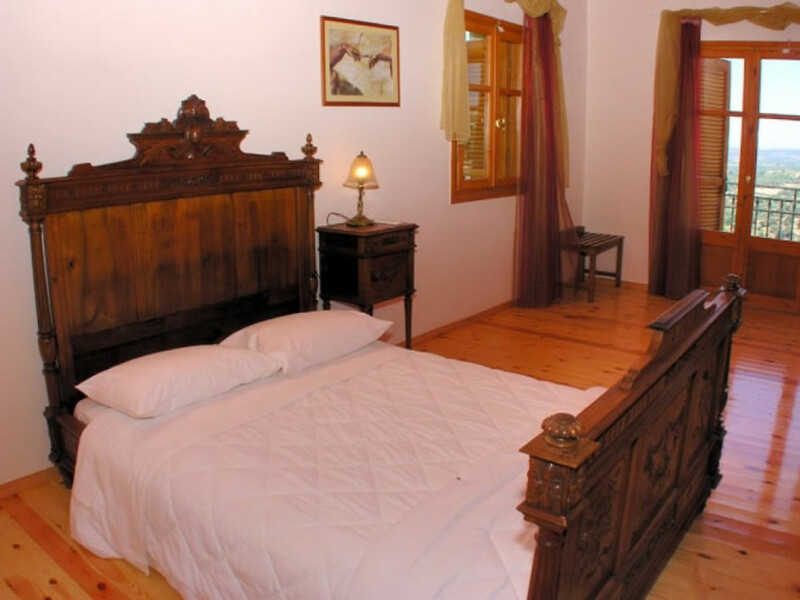 Adjacent to this room is another bedroom with a cast-iron double bed and an en-suite bathroom with a shower. 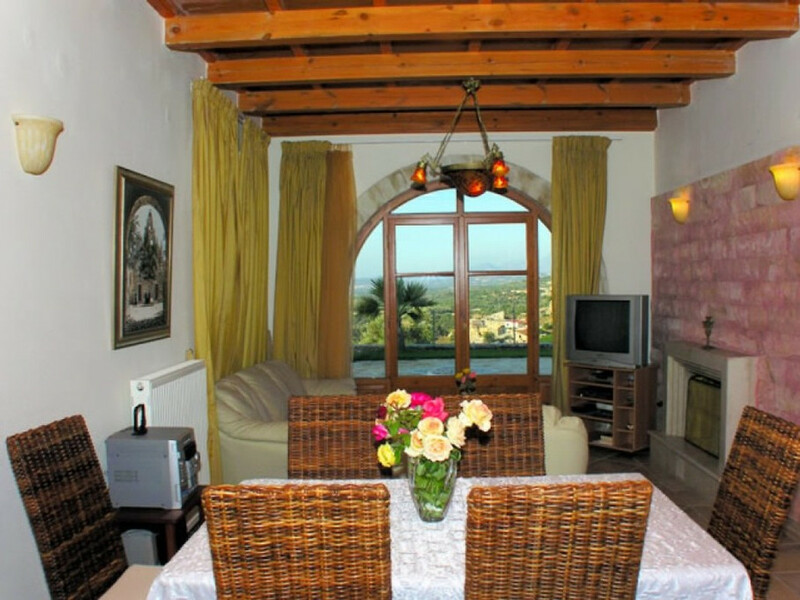 This Villa offers many amenities such as satellite TV, a DVD player and HiFi. 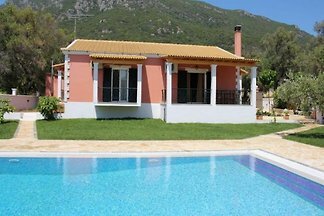 Agia Triada is the perfect location for nature lovers. Walkers, hikers and cyclists love Agia Triada because of its many trails, treks and gorges. 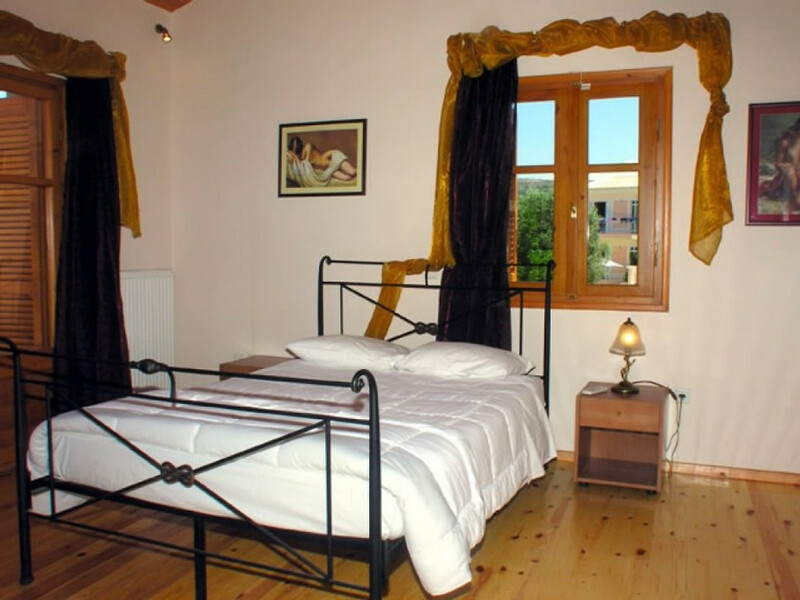 It is also a good base for visiting some of the many other interesting sights of Crete. The seaside resort of Bali with its beautiful beaches is just a thirty five minute drive away and the archeological site of Phaistos lies 61 kilometers to the south. Crete is a magical island, rich in myths and legends, with something to offer all ages. History and culture, beautiful beaches, exciting nightlife and breath-taking scenery. 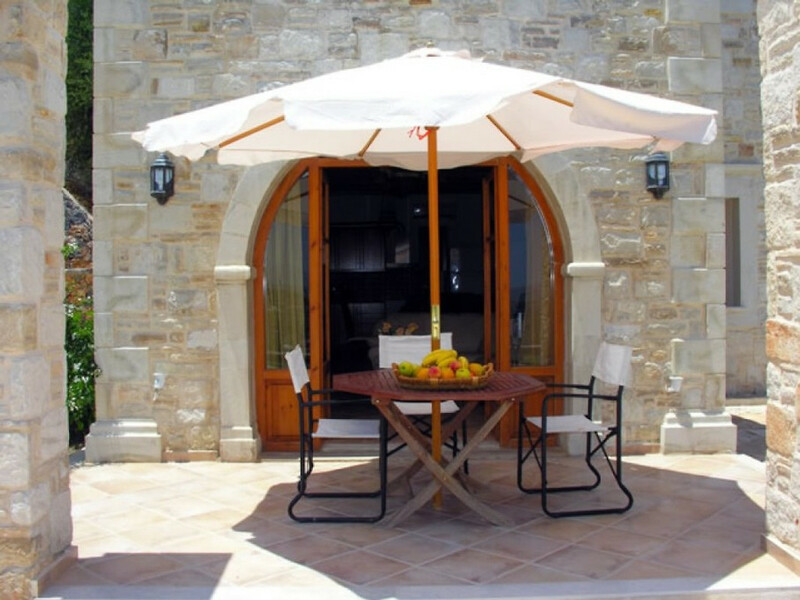 Note: To enjoy your stay on Crete to the full, car hire is highly recommended for those staying at this villa.